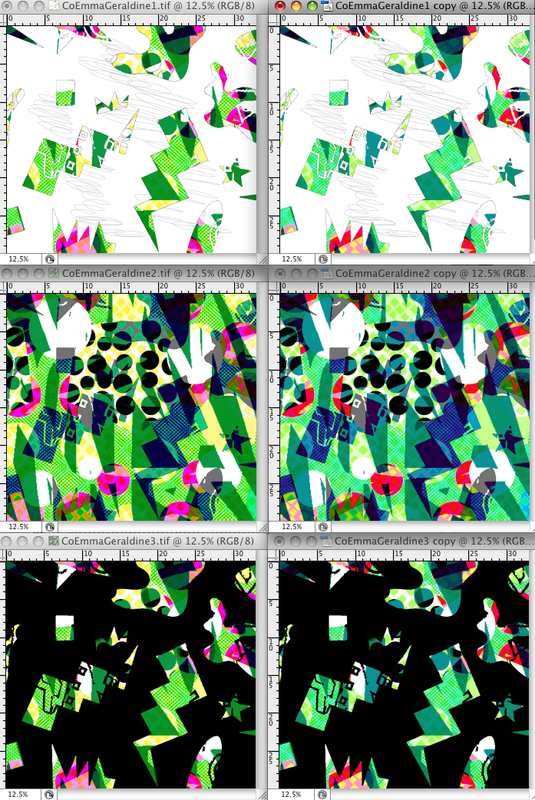 Experiments Begin with Co-Design Postmodernism Prints!! Hot off the press!! Emma and Geraldine’s postmodernism prints converge in an intergallactic collision! Geraldine’s grass green and hot pink are softened for an older look…the red to catch the lips!! Previous articleUncategorizedSlow Textiles Group Members Pioneer New Design System!! Next articleUncategorizedSamantha Warren for Martin Margiela at Slow Textiles Workshop! !